By the end of 2018, Vietnam’s Tra fish export reached approximately $2.3 billion. According to the authority of Soc Trang Province, from the beginning of August 2018, the price of shrimp has been increasing slightly. Many shrimp farming areas also have a stable shrimp price. Currently, the prices of shrimp type 50 shrimp/kilogram are VND128,000/kilogram for black tiger prawn, and VND135,000/kilogram for whiteleg shrimp. 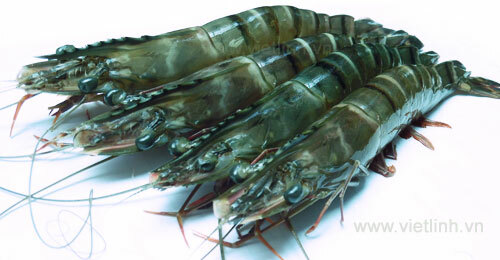 For type 100 shrimp/kilogram, black tiger prawn costs about VND100,000/kilogram, and whiteleg shrimp costs about VND117,000/kilogram. By the end of 2018, the province's brackish shrimp output reached 113,815 tons, which was about 121.6% of the initial plan. The figure showed a decline of 0.3% compared to the same period in 2017. On May, June, and July this year, the consumption of whiteleg shrimp, especially type 100 shrimp/kilogram, decreased by 20% compared to the same period in 2017 (the price in 2017 was VND100,000/kilogram). On the other hand, the price of shrimp type 20 shrimp/kilogram was the least volatile. So far, Soc Trang Province has 15 facilities with more than 1,000 hectares of shrimp farming that apply VietGAP, ASC and BAP standards. The farms receive sponsorship from 7 businesses for supply of agricultural materials while their products are pre-ordered for purchasing. By the end of 2018, Vietnam’s Tra fish export reached approximately $2.3 billion, up by over 20% compared to the same period in 2017. This is the first time in the past 20 years Vietnam’s Tra fish export has achieved such a record number. Experts predict that the growth of Vietnam’s Tra fish export will not stop here when the quality and value of this product are increasingly improved. People who farm edible bird's nest in Tien Giang Province are delighted because of the increasing output of this product. At this time, the price of bird's nest in raw form is about VND22-24 million/kilogram, and of clean bird's nest is over VND30 million/kilogram. Many businesses also purchase and process bird's nest for export. According to incomplete statistics of the authority, Tien Giang Province has nearly 1,000 swiftlet farming houses. Many of which are located in Go Cong Town, Go Cong Tay District, Tan Phu Dong, or My Tho City. Each farming household here raises more than 2,000 swiftlets on average with a productivity of 1 kilogram of bird's nest/month. Over the past years, bird’s nest farming has brought high economic efficiency for about 70% of farming households in this region. Of which, nearly 30% of them get rich thanks to this farming model. Sam Ngoc Linh Kon Tum Jsc. (Kon Tum Province) has announced and launched products extracted from Ngoc Linh ginseng. This is the first time after about 30 years Kon Tum Province has its own products made from Ngoc Linh ginseng. This step is the basis for the development of an industry growing and processing Ngoc Linh ginseng of Vietnam. In Kon Tum, there are currently 2 units granted certificates to process Ngoc Linh ginseng. They are Dak To Forestry One Member Co., Ltd. and Sam Ngoc Linh Kon Tum Jsc. These are 2 businesses with records of tests for quality and origin of their ginseng. Kon Tum Province is currently having over 500 hectares of Ngoc Linh ginseng. In 2018, although there were fluctuations in prices and competitions with other crops, ​​the area growing coconut in Ben Tre Province was still increased slightly, reaching 72,022 hectares. The output of coconut farming reached 612.5 million fruits, an increase of 7.5%, and its productivity reached 6.9%. Intercropping in coconut gardens is especially expanded and replicated. Many businesses have developed their production, improved product quality, and focused on branding to enhance the value of their coconut. Processing facilities are upgraded with innovative equipment and quality management systems according to international standards to meet market requirements. The export turnover of coconut so far reached $125 million, up 13% compared to the previous year. Currently, Ben Tre Province has 3,000 hectares of organic coconut. Organic coconut has a much higher price compared to inorganic coconut. The province is now focusing on expanding the farming of organic coconut. Urbanization is always a pressure when the area of ​​agricultural land in Ho Chi Minh City decreases year by year. Yet, thanks to the application of high technology and biotechnology into production in the process of shifting towards urban agriculture, the value of production per hectare has reached VND502 million in 2018. This was an increase of 11.5% over the same period in 2017. The overall agricultural growth rate of the city is nearly double the national average, with the city's GRDP increasing by 6.2%. According to the Management Board of Bac Huong Hoa Nature Reserve, Quang Tri Province, the unit sent an animal’s stool sample to a specialized agency to conduct research and analysis of DNA. The purpose of this activity is to clarify a suspicion about the appearance of gaurs in this conservation area. Previously, when the Management Board received information from local residents, its staff members came to the scene and believed that there were footprints and stool left from gaurs. The largest footprint has a diameter of 13 centimeters, and the smallest footprint is about 9 centimeters. According to a preliminary survey, there are possibly 2 gaurs appearing in this area. The large gaurs are over 2 quintals. These gaurs may have migrated from elsewhere to Bac Huong Hoa Nature Reserve. In the past, Tan Ha Commune, Tan Chau District, Tay Ninh Province had only a few households investing in growing Rhynchostylis gigantea (a type of wild orchid) on a large scale. Currently, there are about 70 households growing this orchid species in the commune. Before, people only planted Rhynchostylis gigantea in small pots for decoration. However, when observing that wild orchids are increasingly rare and sold at high prices, many people switch to "semi-industrial" orchid cultivation. After Rhynchostylis gigantea is taken care of from 18 to 20 months, 1 kilogram of orchid seeds will produce about 10-12 kilograms of flowers. Depending on their conditions and investments, florists grow from a few hundred to several thousand of square meters of Rhynchostylis gigantean. Tan Ha Commune is currently having a total area of ​​10 hectares of Rhynchostylis gigantean.